On LinkedIn's blog there is a quote "Learning means growing." Here's your chance to grow. 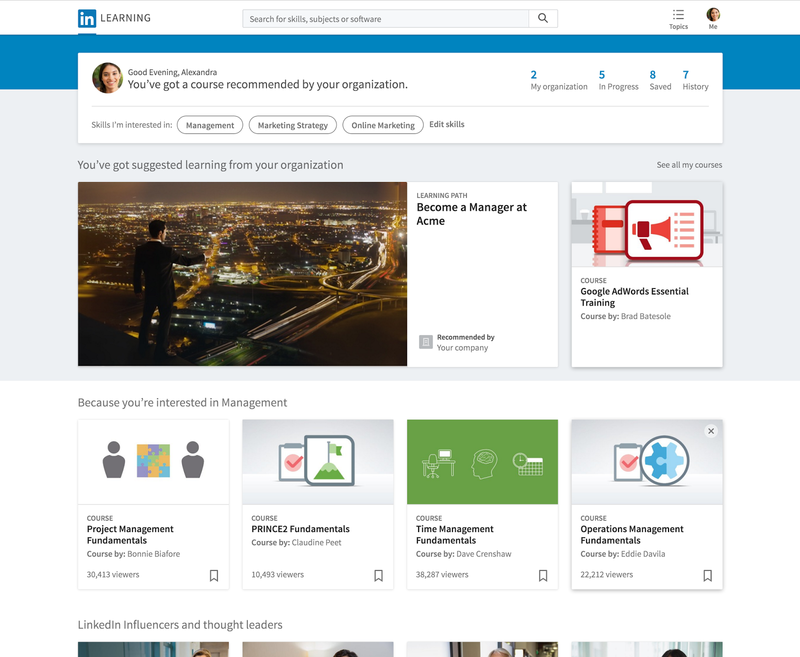 LinkedIn announced last Friday that they are opening their coffers for one week to show you the breadth of LinkedIn Learning. On September 22, LinkedIn announced they finally pulled the Lynda.com library of online training courses into its main service. Lynda.com, now LinkedIn Studios, is still based in Carpenteria and still going strong. LinkedIn Learning is available to all of LinkedIn’s premium subscribers. But honestly a lot of this came from the Lynda.com merger and now the strategy of the acquisition is coming to bear the fruit. In the past, Lynda.com was always opening up their treasure trove as a way to build their user base. Now you can benefit from LinkedIn's strategy of building the foundation for Education 4.0.Check it out here.